Copyright © 2001 John H. Betts - This image is copyrighted. Unauthorized reproduction prohibited. Excellent specimen of translucent purplish creedite crystals completely covering one side of limonite matrix. No damage. Overall size of mineral specimen: 4x4x3 cm. 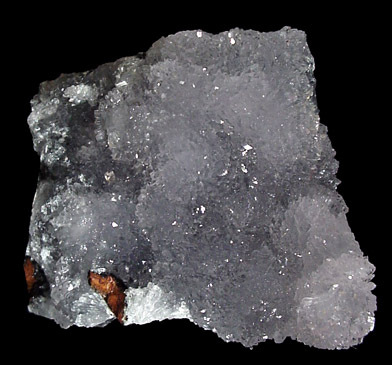 Size of individual crystals: 2-4 mm.